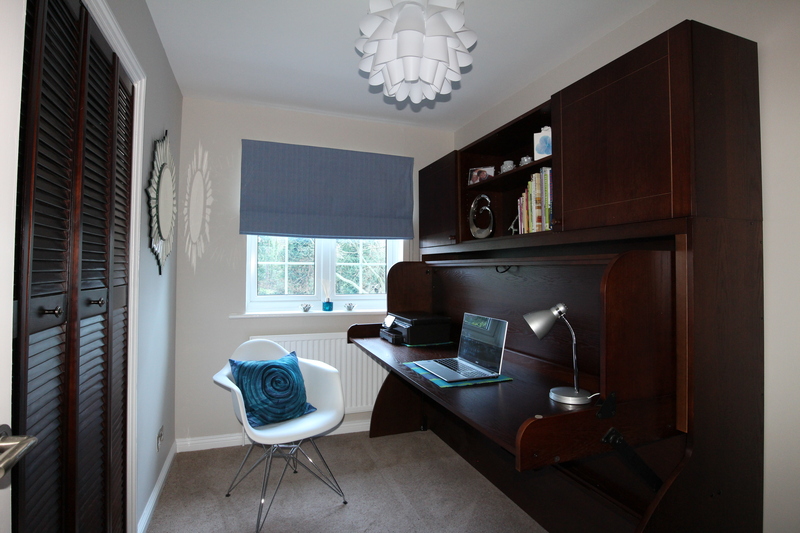 This upstairs box room has been transformed into a contemporary, stylish guest bedroom and writing room thanks to a StudyBed. 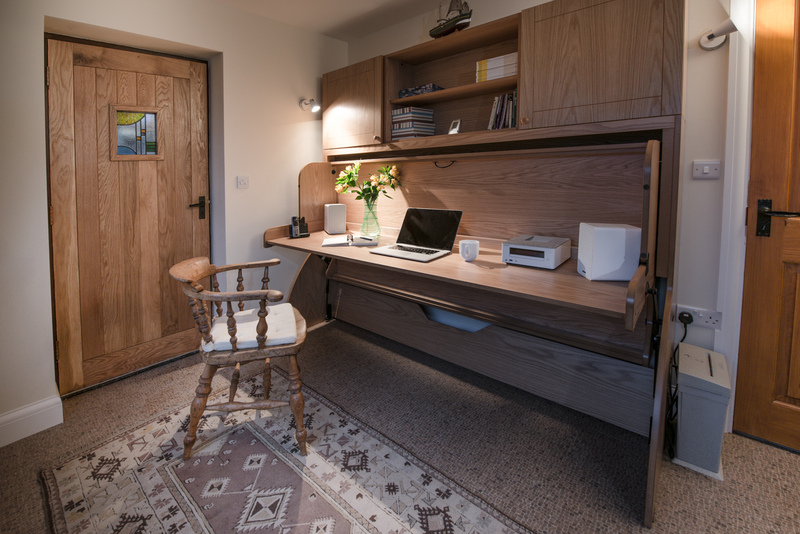 We stained the StudyBed to match existing cupboard doors creating a beautiful space with more than one use. Our customer has transformed her downstairs room from a walk-through to her home office and extra guest bedroom for any unannounced guests. The quality of the StudyBed Light Oak real wood veneer shows as it beautifully compliments the rest of the furniture and fittings in the room.